South Korean President Moon Jae-in told reporters Thursday that North Korean leader Kim Jong-un would like a second summit with President Trump "at the earliest convenience in order to speed up the denuclearization process," reports the Washington Post. 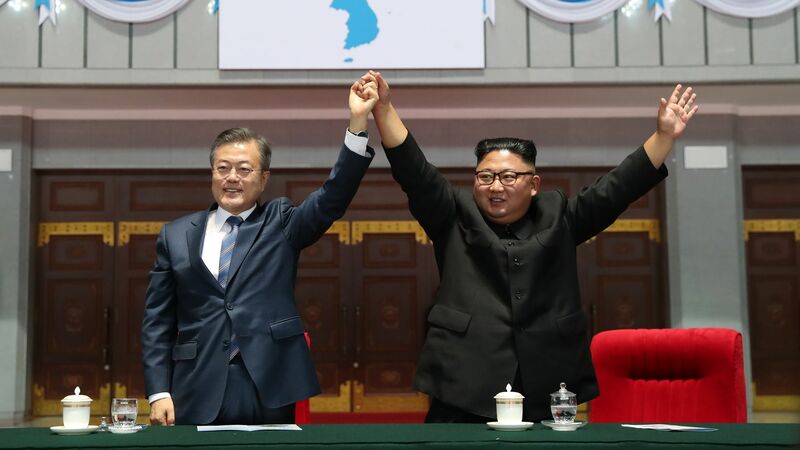 The big picture: Moon just returned from a three-day summit with Kim in North Korea, during which they announced several agreements, including a pledge by Kim to allow international verifiers into the country and dismantle a key nuclear site if the U.S. takes "corresponding steps." Kim also requested that Secretary of State Mike Pompeo visit North Korea and called for an official end to the Korean War by the end of the year.